You all are known about the Notes app and its features. Notes app now have the ability to lock your important date on Notes app on iPhone, iPad, and Mac. I think you have been using the lock feature on Note apps to secure your important date on your iPhone. 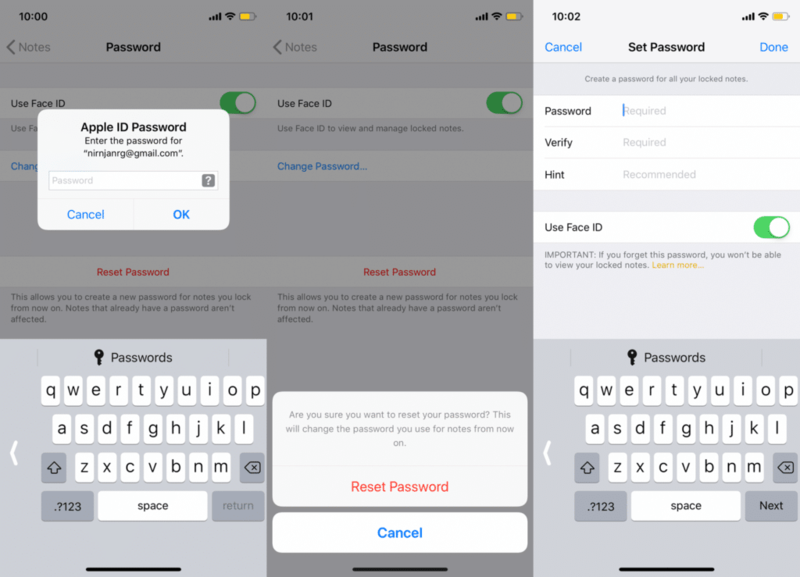 But sometimes if you don’t want to use the lock feature or forgot the password of your important Notes that you have saved on your iPhone, iPad, and Mac here’s easy to reset the forgotten password of Notes. Resetting your Notes password on your iPhone, iPad, and Mac is simple. Simply follow these steps to completely remove the Notes password from your all devices. 2) Scroll down and select Notes. 4) When prompted, enter the Apple ID password and click OK.
5) Again Tap Reset Password. 6) Now set Password for the locked Notes and tap Done. This will now reset the password of your locked Notes. The main thing is that you can also use a hint for remembering the password you have set for locked notes.